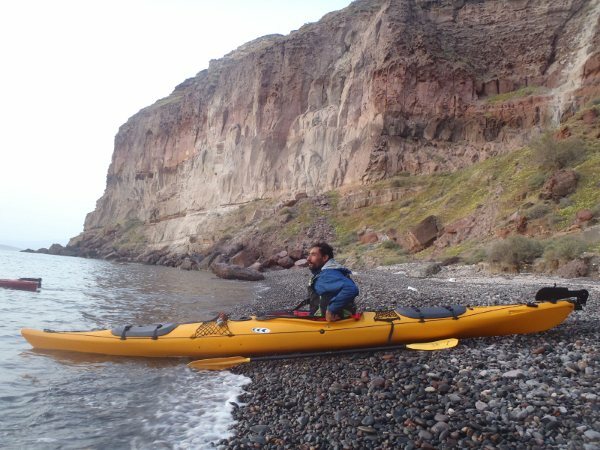 Santorini Sea Kayak was established in 2011. Since then, we have guided thousands of visitors to unforgettable kayaking experiences. Our Guides are certified by British Canoe Union and are highly experienced kayakers in the Greek seas. Practice keeps on going all year round. We organize stuff expeditions where we can check or/and improve our skills annually. They love the outdoors, and will give priority to safety. They will always try to ensure that guests are taken care of and enjoy the tour. Part of that is teaching you the basics to be proficient while on the water kayaking. Their knowledge will help set the kayak up in the best combination for the most efficient travel. Listen to their instruction and follow their lead on the water. Any questions? Search through our Knowledge Base! We use double sea kayaks with rudders (Prijon, Necky & Wilderness Systems). Single kayaks rudder or skeg are available for more confident kayakers. You may find Tahe Marines, Prijons, Neckys, Wilderness Systems, Northshores and Valleys. Paddles are carbon made by Werner. 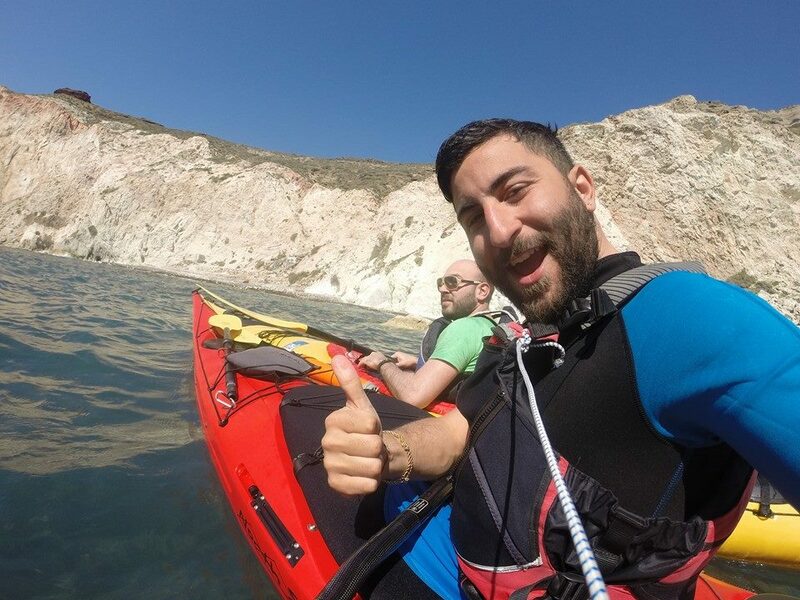 All guides are well trained with paddling experience in the Greek seas. They all have been trained travelling to England and hold a BCU certification. The Aegean Sea is a sea that accepts north winds called meltemia. Our paddling area is the south coast of Santorini where the cliffs provide protection and paddling for beginners is fun. Some days paddling is safe but adventurous and we will usually notify our guests for the conditions and give the freedom of choice to participate on the tour or not. ​Light picnics are available on the kayaking tours and snacks for the SUP tour. Expect a fresh sandwich, seasonal and fresh fruits.